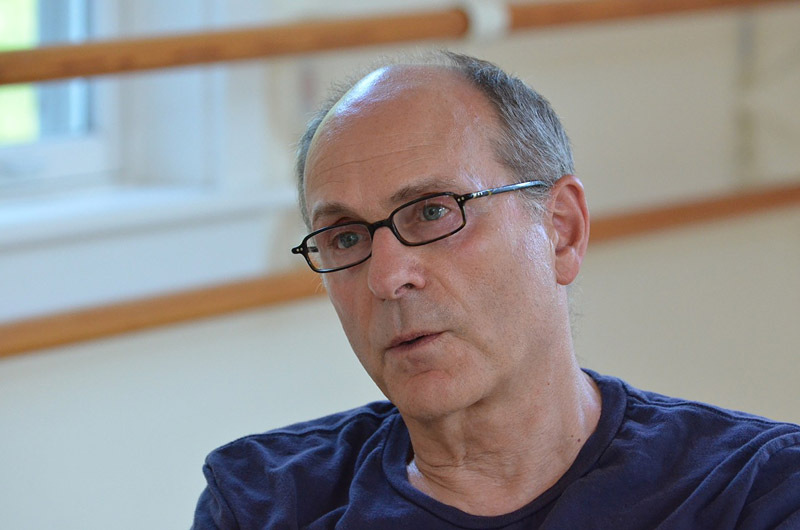 James Lapine likes to create and try out new material on the Vineyard. Flying Over Sunset plays at the Vineyard Arts Project on Friday, July 29. James Lapine is working. He looks as relaxed as any other summer resident, bicycling around Edgartown in shorts and T-shirt, but this is no vacation for the Pulitzer, Tony and Peabody award-winning dramatist, theatre director and filmmaker. Mr. Lapine’s new movie Custody, with Viola Davis and Tony Shalhoub, recently played the Martha’s Vineyard Film Festival and his musical-in-progress Flying Over Sunset has a workshop performance tonight at the Vineyard Arts Project. “It’s something I’ve been working on for years and years,” said Mr. Lapine of Flying Over Sunset. The show is a collaboration with composer Tom Kitt, whose musical Next to Normal won a Pulitzer Prize for Drama, and Tony-nominated lyricist Michael Korie (Grey Gardens). Last summer, the three and their cast presented the first act of Flying Over Sunset in workshop at the Vineyard Arts Project. Tonight’s audience will see the revised first act and, for the first time, Act II. Briefly, Flying Over Sunset “is about LSD in the 1950s, in New York and L.A.,” Mr. Lapine explained. A magazine article sparked his imagination. “I had no idea that LSD was legal in the ’50s, and that it was used as a psychoanalytic tool,” he said. His main characters — all of whom took the drug in real life — are British author and early acid-head Aldous Huxley (1894-1963), Hollywood actor Cary Grant (1904-1986) and, most startlingly, prominent American conservative Clare Booth Luce (1903-1987). Along with the psychedelic theme (which audiences explored from a different perspective earlier this summer in Larry Mollen’s comedy High Time at the Vineyard Playhouse) Flying Over Sunset is also about the 1950s. As a teenager in the 1960s, Mr. Lapine had no ambition to be a playwright or director — let alone screenwriter, filmmaker, librettist or documentarian, all of which he has become. “I was pretty aimless,” he said. Following his lens to the West Coast, Mr. Lapine studied design at the California Institute of the Arts (CalArts), the Walt Disney-funded graduate school where his peers included future Pee-Wee Herman actor Paul Reubens. “He was a very different person in those days,” Mr. Lapine said. So he headed to New York city and a series of jobs: waiter, secretary, NBC page and news intern, architectural photographer and freelance designer. He taught at the Fashion Institute of Technology (“They fired me”) and even studied for the bar exam. “I took the law boards and thought if this is what you have to do to be a lawyer, I’m not interested,” Mr. Lapine recalled. But without knowing it, Mr. Lapine was drifting toward a remarkable career. It began when his freelance design work led to a gig with the Yale School of Drama, where director Robert Brustein tapped him for a faculty position teaching theatre administrators about advertising. “I loved it there. It was fantastic,” Mr. Lapine said of Yale Drama. His own taste in theatre tended to the avant-garde, but he also wanted to explore filmmaking, just like another photographer, Stanley Kubrick, had done. So when he was encouraged to direct a play at Yale, he took it on as a first step toward filmmaking. “I thought it was a lark,” Mr. Lapine said. But his production of Gertrude Stein’s Photograph was revived in New York and won his first award, an Obie. Mr. Lapine may be best known for his work with Stephen Sondheim: Sunday in the Park with George won the Pulitzer Prize for Drama, while Into the Woods was made into a popular film, scripted by Mr. Lapine and starring Meryl Streep, and the fairytale musical is being revived on the London stage this year. He shared a Peabody Award with Frank Rich for their work on the documentary Six By Sondheim. He is also celebrated for his Tony-winning Falsettos collaboration with composer William Finn. Originally two musicals — March of the Falsettos and Falsettoland — Falsettos returns to Broadway this fall. Mr. Lapine’s next award-winning musical may owe a debt to the Vineyard Arts Project and Island audiences who have watched his works in progress there. 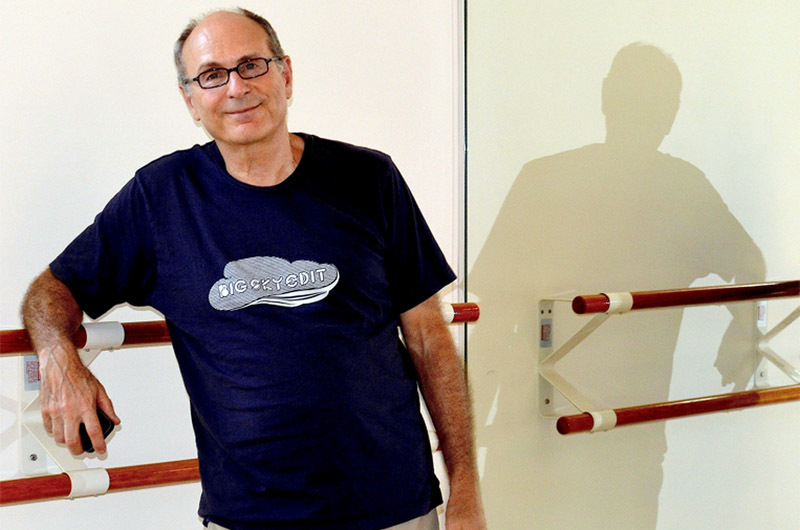 Founded as a dance studio, the Upper Main street, Edgartown facility has been his summer base of operations since he tracked down the management a few years ago. “I’m really lucky,” he added, knocking loudly on a nearby wooden bench. Flying Over Sunset begins at 7 p.m. on July 29 at the Vineyard Arts Project, 215 Upper Main street, Edgartown. Visit vineyardartsproject.org.